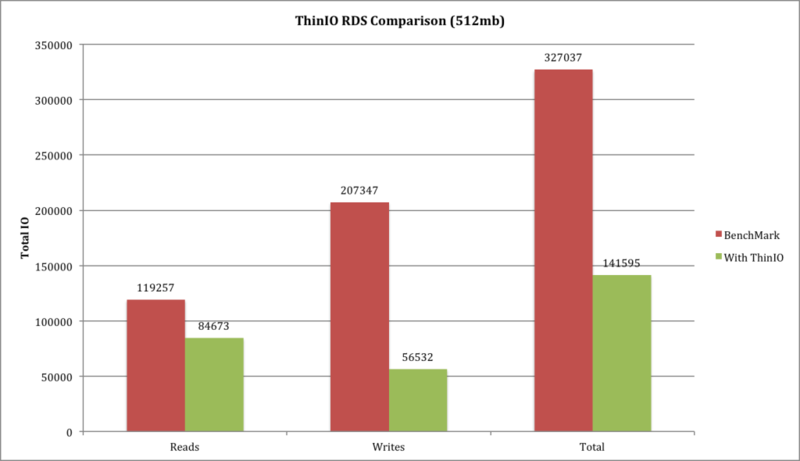 Running repetitive tests of at least 3 per cache type, we found even at the lowest entry point we would support (50mb per user) we saw phenomenal savings of over 70% on write IO. 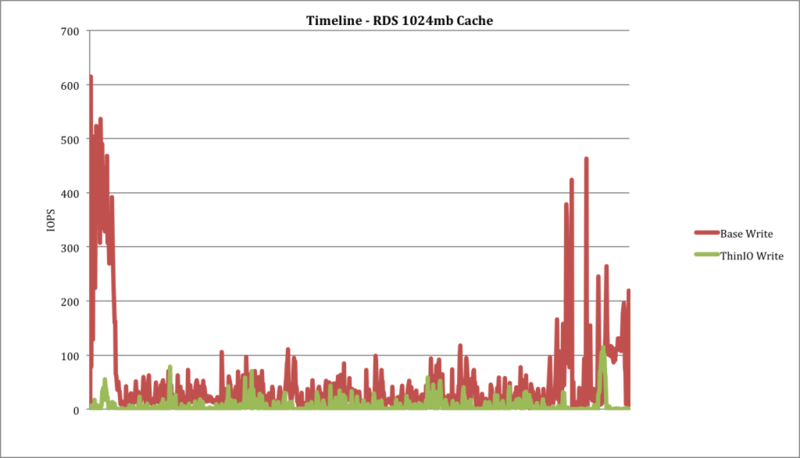 To put that into perspective, at a 512 MB cache for 10 users, our cache reached maximum capacity at the second user login. With 8 users still left to login, cache full and still an hours worth of load testing left, our ThinIO technology was under serious pressure. This is key to why ThinIO is such a great solution. We won’t just perform great until we fill our cache, we don’t require architecture changes or care about your storage type, we have no lead times or install days, we will carry on to work with what is available to use, to take a large ammount of pressure off storage IOPS and data throughput. 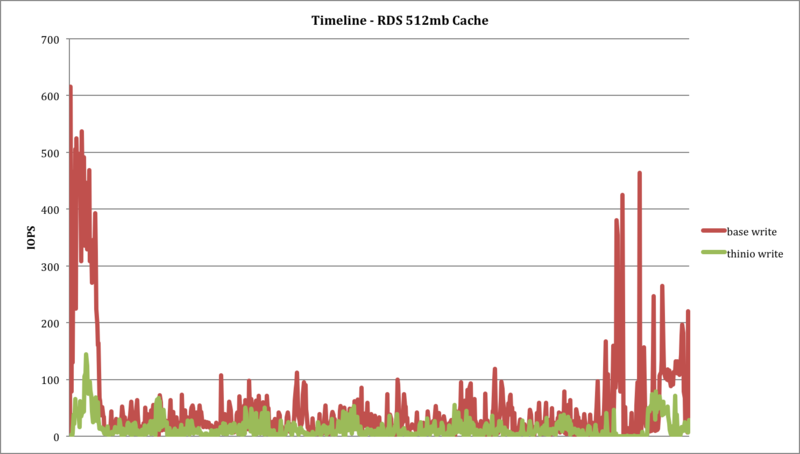 With the figures above, you can see just how well the intelligence behind our cache can scale even when it faces such a steep workload. So lets move up and see how we get on! 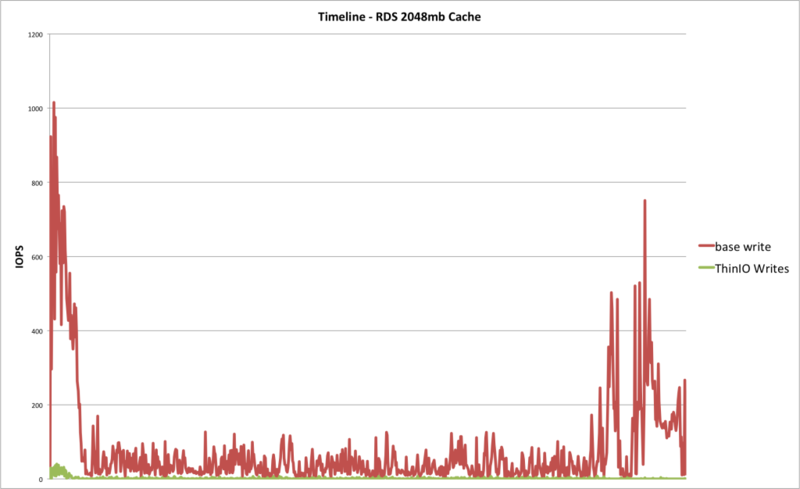 Doubling up our cache size we see a great increase in both read and write savings as you’d expect. 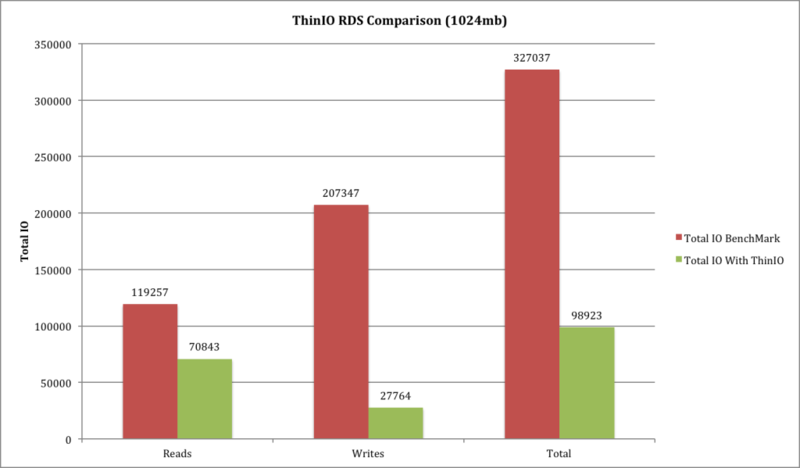 and at our recommended value of 200mb per user in Remote Desktop Services, the results are phenomenal! 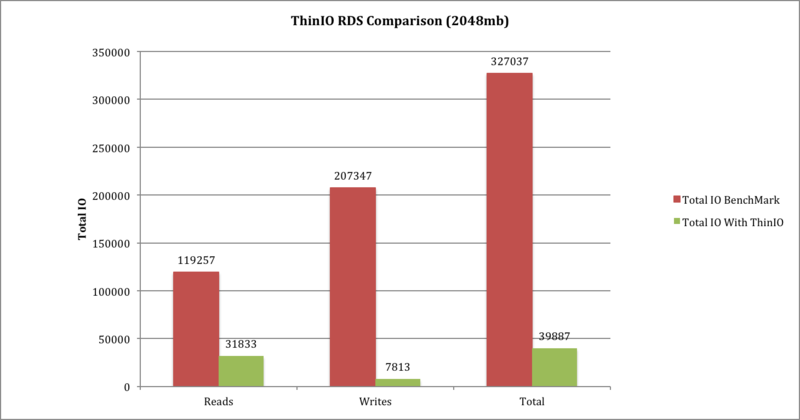 With this size, even still below the 300mb mark per user profile, the read IO gets a really good boost and the write IO saving well over the 95% mark! 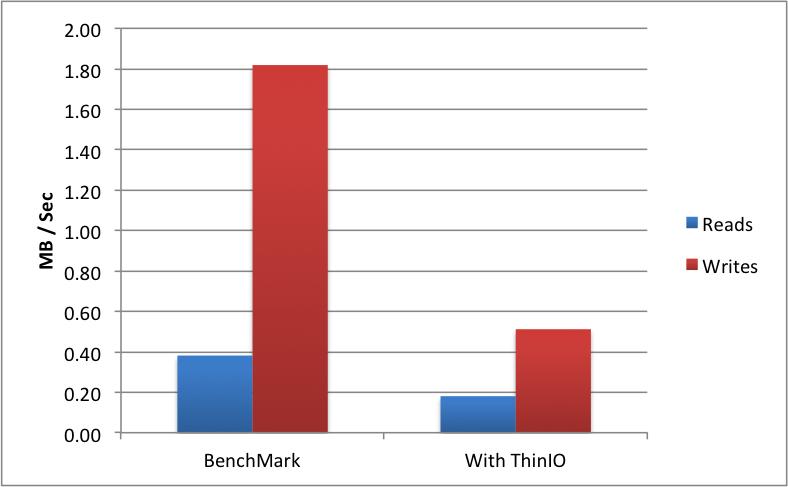 So there you have it, with ThinIO, a simple, in VM solution, you can you seriously reduce your IO footprint, boost user performance and achieve greater storage density per virtual machine or on Remote Desktop Services technology.